Gobble, gobble! November is here with a feast for you to enjoy. Trade in your Halloween costumes for Pilgrim hats and start your Turkey meal early! 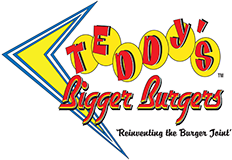 Teddy’s Bigger Burger has a meal you’ll savor, November Burger of the Month: Turkey Bacon Swiss. Our delicious 100% white meat ground turkey, topped with swiss cheese and one may say our Turkey Bacon Swiss is a mouthful. Topped with bacon, Teddy’s secret sauce, fresh lettuce, pickles and onions placed in between toasted potato buns, it calls for a celebration all on its own. It doesn’t end there, complete this meal with our November dessert — Pumpkin Shake, shake of the month. A substitute for pumpkin pie, this decadent and smooth Pumpkin Shake will elevate any Teddy’s experience to the next taste level. Our pumpkin ice cream is freshly churned to satisfy any craving for the autumn season. Start your Thanksgiving feast early and stop by our many locations. Happy feasting!